So I figured I should probably start one of these. Ask me whatever you'd like! (I need to pick one and I can't decide) Which should I play: Ocarina of Time or Majora's Mask? Least favorite character to play as in Smash. Bros? I am taking anatomy, medical terminology, chemistry, health science 3300, and medieval art and architecture.... it's gonna be hard. Is your username Rouge as in the French term of red (rooj) or rouge (rowgg)? I always thought it was the first one. 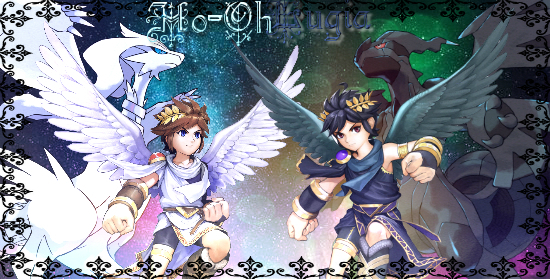 Have you ever played Kid Icarus: Uprising? It's an awesome game! I named myself Rouge after the sonic character, but yes it is like the french term for red I believe. @smoakdragon and I used to play sonic adventure 2 battle together. Her favorite character was knuckles and mine was rouge. We even played "pretend" games where we would be the characters and go on missions and such. I have never played any Kid Icarus games, but I really do want to give them a try! They seem like pretty cool games. Wait, Smoak is a girl? I didn't know! Well, most thought Ho-Oh and I were boys so.... yeah. I have another question: How are you in art? Do you like it as much as Smoak? I'm not that good at Digital art as well. I'm just starting to get the hang of it though!